I’m getting better about traveling for work. However, there is always some unplanned event that catches me off guard. Enter this week’s misadventure. We fly Southwest and that’s fine by me. However, Southwest seems to offer this make-a-new-friend or have-a-great-story-by-sitting-next-to-a-complete-stranger seating arrangement program. 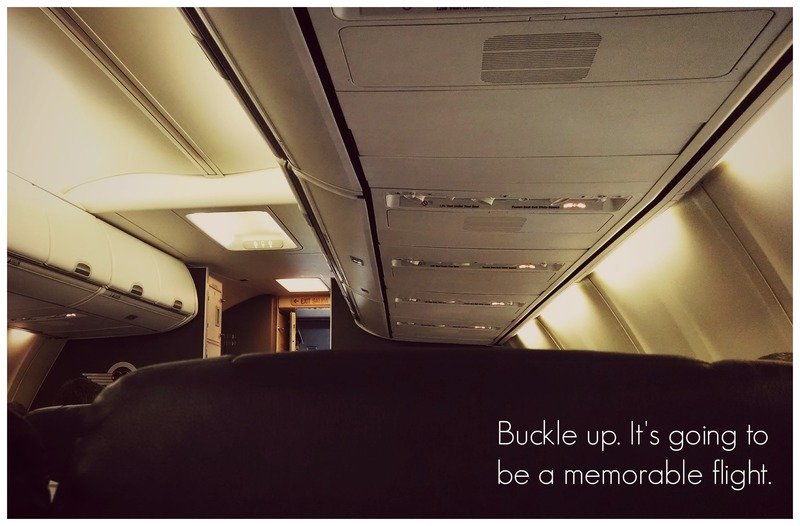 Generally, passengers follow some basic flight etiquette, which is to say that we understand that we don’t have to talk to one another. The woman on my right was polite but oblivious to my clues that I didn’t care to converse for the three and a half hour flight. She flipped through two magazines and fidgeted in her seat and went so far as to put her leg on top of the tray table to get more comfortable. I lost sight of her as she rummaged through her carry on to pull out: “sleeping pills.” She shook them like maracas. What do you say to that? Hooray!? So, I smiled. Soon after, the flight attendant came to take our drink order. Her libation of choice: vodka tonic. Someone was clearly a little nervous about flying. After throwing back the pills and chasing it with some vodka and club soda there was a moment of silence. But only a moment. Her dreams of not having enough cheese at the party and conducting an orchestra must have been vivid given her mutterings and hand gestures. But, truthfully, my heart goes out to her. She startled herself awake and she apologized that she often talks in her sleep and then, promptly, feel back to sleep. 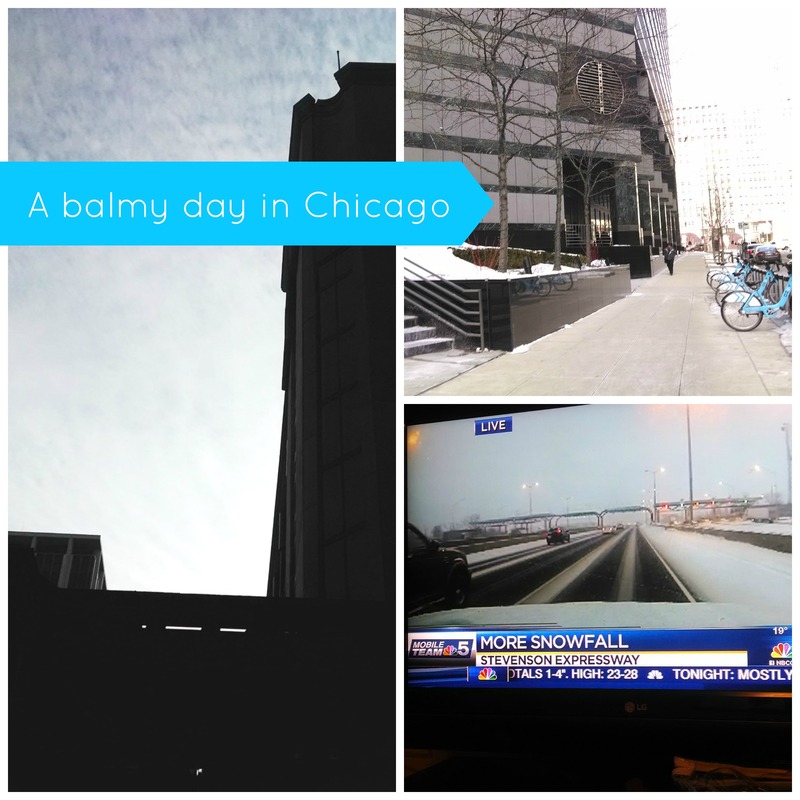 The weather was completely fine in Chicago. Yes, provided I didn’t go outside, the weather was a balmy 20 degrees. And it snowed. I understand you now, Snowbirds. I understand why you come down to Arizona to partake in our 80-degree-winters and Spring Training games. To self medicate, I took to hot cocoa and bubble baths. Just dreadful, really. Barrio Queen in Scottsdale had been calling my name for some time. Thankfully this weekend I was able to try their tacos and churros before heading to The Venue for the 5th Anniversary of Carnaval Do Brazil. The restaurant’s decor and artwork really spoke to me. 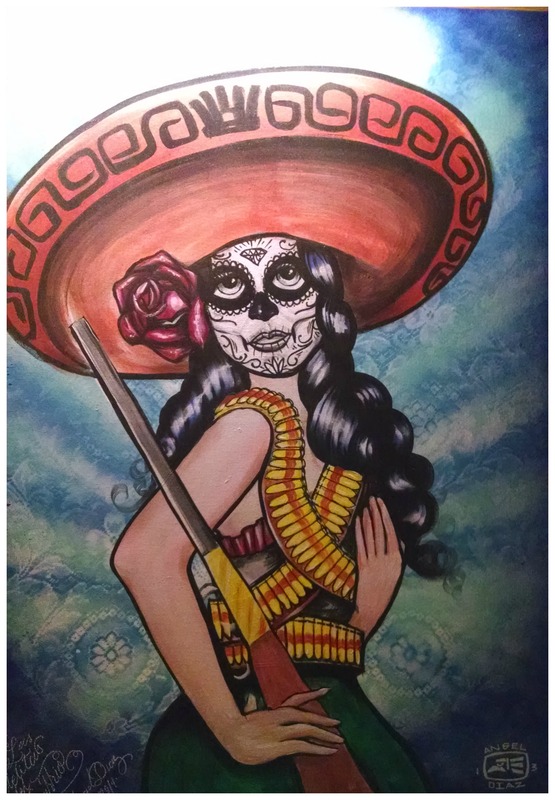 Like this piece by Phoenix artist Angel Diaz. She reminds me of my alter ego — Tita The Bandita. Mayhaps, I’ll reach out Mr. Diaz and see if he’d commission a piece. With the margaritas consumed and the churros inhaled, the time had come to shake our stuff at Carnaval! And while I think we did a good job sometimes it’s best to leave the shaking of assets to the professionals. I wonder what this week will bring. 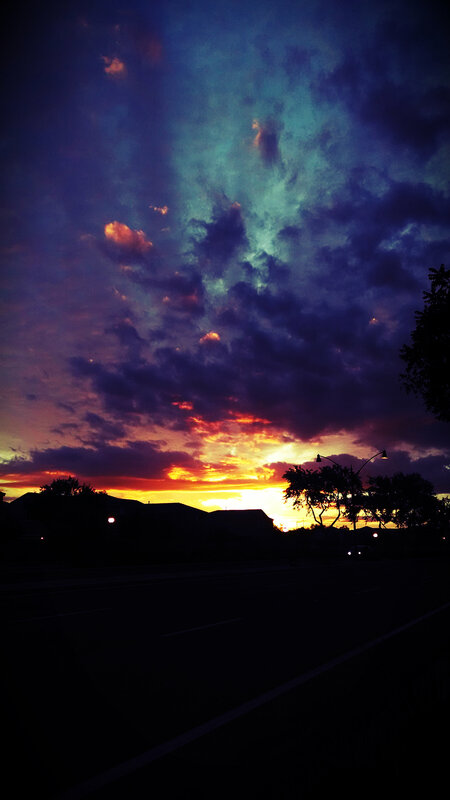 Arizona sunsets are dazzlers. Best seen with your own peepers. My camera (within my mobile phone) did it’s very best. Almost a commendable effort, however it would be dishonest of me not to admit to you that this photo has been doctored and seeing the sunset for yourself is best. Perhaps the sunsets are more dazzling here so we can take notice and give thanks that we made it through the day, and when the day is 100+ degrees you would be grateful. Today, however, felt more like December. Chilly. Talk about going to freezing temps. When life gives you lemons. 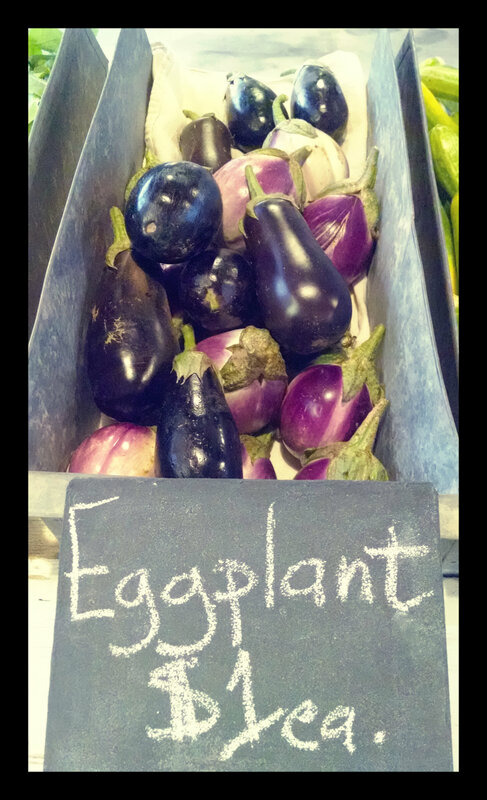 And lettuce and eggplants. You buy them, of course. Well, except for the lemons. 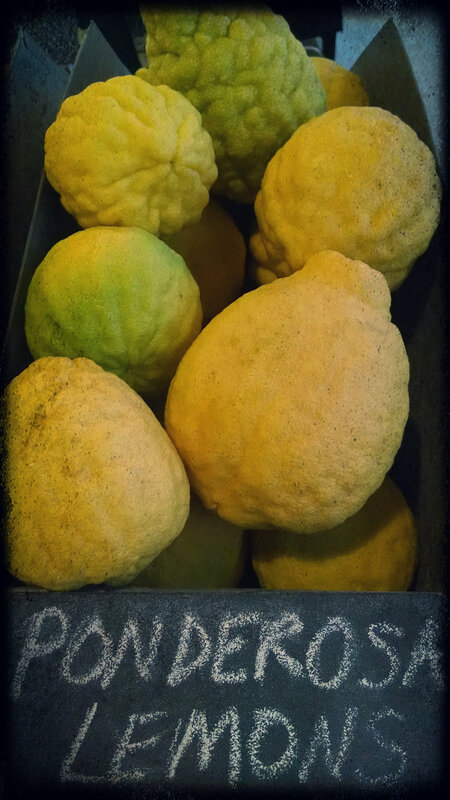 I have no idea what to do with a Ponderosa lemon — they’re freaking huge. 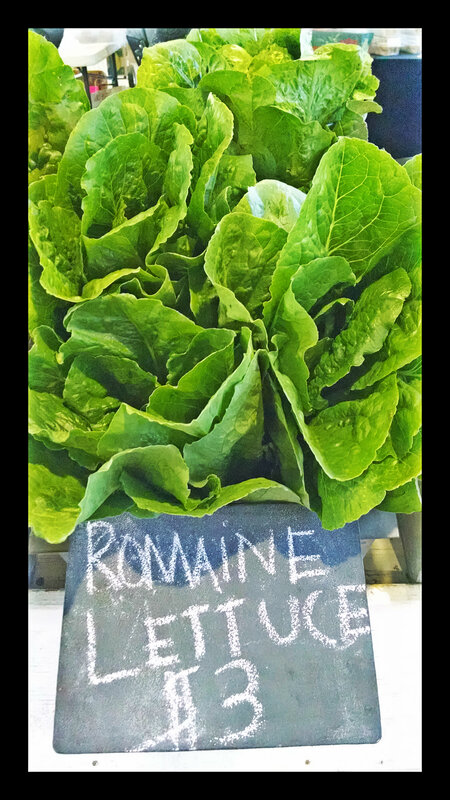 However, I could not resist the bright green leaves from the head of romaine. Has chlorophyll ever looked so enticing? And the amethyst-hued eggplants that are so petite that two found their way in to my bag? Perhaps it was good that I did splurge on some organic veggies, for who knows what will happen now that frost is neigh. Yes, of course! I came to the Agritopia Farmer’s Market not to purchase produce but the irrigation set up so that our pile-o-dirt would be able to progress to the next level: planting. You know so we could be actual farmers, not mud farmers. 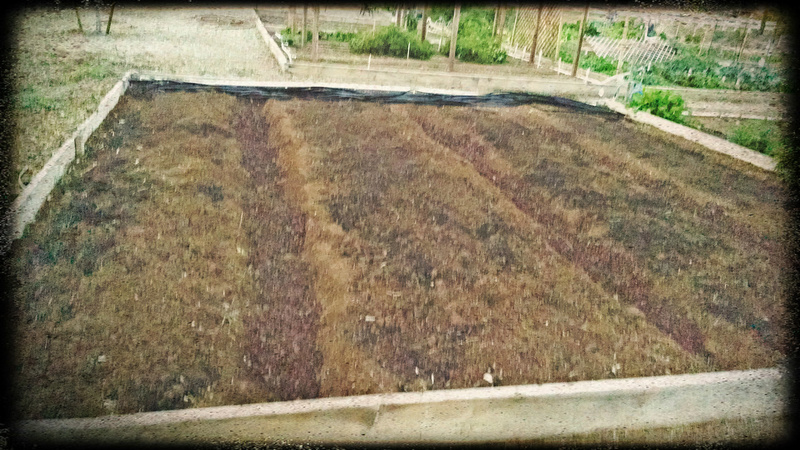 Although our rows of weeded and tilled dirt, separated with red wood chips, does look so full of promise and potential. 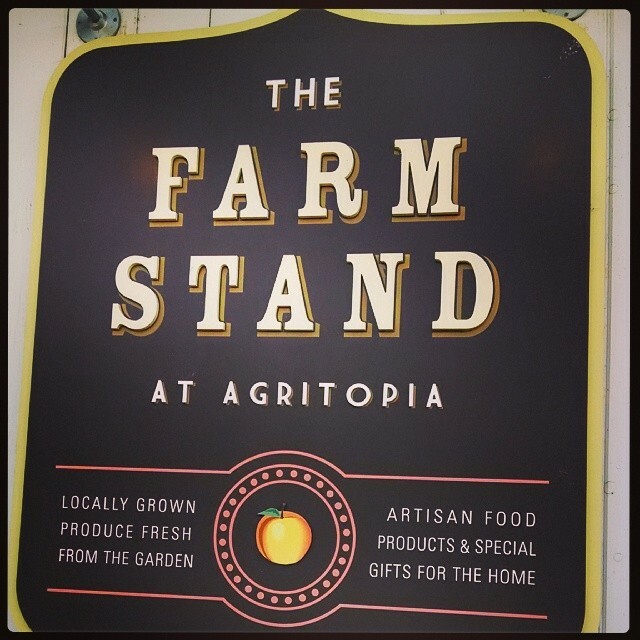 If it were not so chilly and I had plans to be a homebody that evening, I would have soaked up the tranquil vibes coming out of the Agritopia Farmer’s Market. Set between the The Farm Stand and the Coffee House and flanked by food trucks —The Grilled Cheese Truck, The Uprooted Kitchen truck, Paletas Betty — and vendors selling artisan bread, olive oils, herbal teas and holiday baked goodies. And kudos to the man playing your electric guitar. Those sweet soft rock hits were being hummed by everyone. I am pretty sure of it.